The GPS Source L1L2-RA-2 is a dual band active L1/L2 GPS antenna, arinc configuration, designed for operation with the US DoD DAGR military grade receiver. This is available as a hard mount, with TNC connector and various radome colors. The GPS Source L1L2-RA-2 is a dual band active L1/L2 GPS antenna, Mini Arinc configuration, designed for operation with the US DoD DAGR military grade receiver. 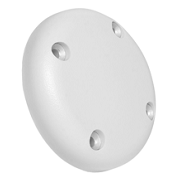 This is available as a hard mount, with SMA, TNC, or N connector and various radome colors. 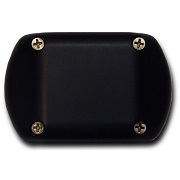 It is compact, lightweight and water resistant.